This Kunishige belongs to Jyo saku ranking. Width at the hamachi : 3.25 cm or 1.27 inches. Era :Middle Edo period, around Jyokyo era. Shape : The blade is wide and thick nice looking shape. Jitetsu :　Itame hada well grained with much jinie attach and many Chikei work. 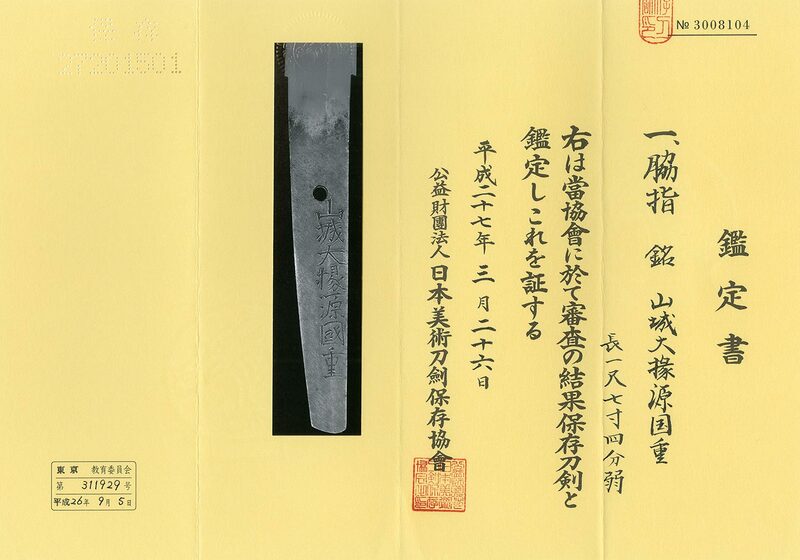 from late Muromachi to Edo period. There is a Kitae-ware on Kissaki part. But it is inconspicuous. this blade has active wild thick nioikuchi hamon and nice Aranie.